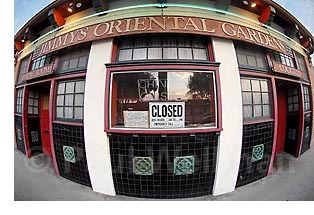 Everyone enjoys eating out at Santa Barbara’s amazing array of eateries. Today we are so fortunate to have more choices for casual or exquisite fine dining experiences. I worked at Olive Mill Bistro in the late 1970s and was maitre’d of Ristorante Piatti during its first five years in Montecito. 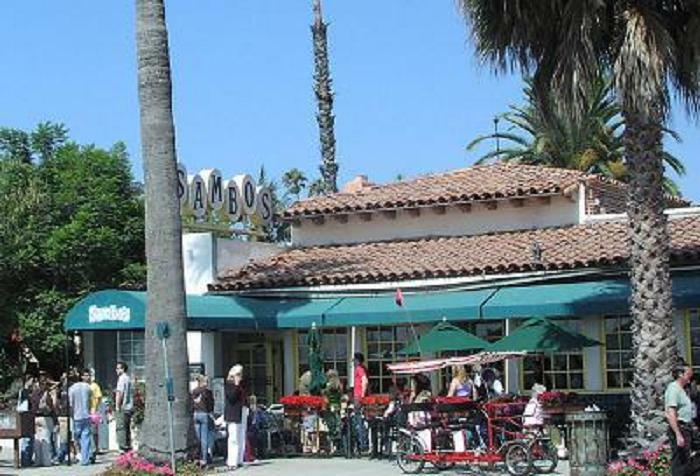 I have always loved Santa Barbara restaurants, so I took it upon myself to research their history at the Santa Barbara Public Library many years ago. 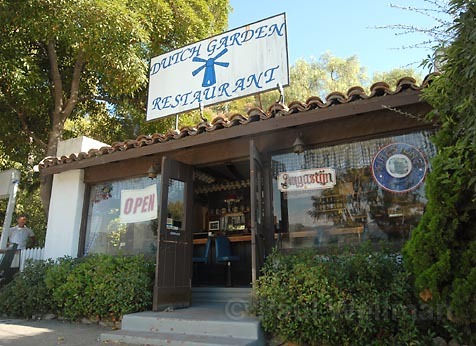 From that, I developed this list of the public places folks could grab a bite in the Santa Barbara area from the early days in the late 19th century through the mid-1980s. The handwritten list was done years before computers, and I dug it out of my files and typed it up so share with a few friends. Chef James Sly loved it so much it the he posted it on a Wiki site for several years until it expired. It may not be 100 percent all-inclusive of everything that’s transpired in the restaurant scene since the 1880s, but it was the best I could do. It became difficult to continue after 1984 as there were so many openings and moves. As well, the definition of what a restaurant is needs to be reconsidered, as today we have so many fast food places. If time permits, I hope someday to complete the task. But as it stands, this list is a fun way to peruse how the names changed over the years, how restaurant numbers grew smaller during World War II, and how fanciful names of restaurants began in the 1950s. Browsing through the names of dining establishments and when they opened might just trigger fond memories of meals enjoyed with friends and loved ones. Please feel free to send any memories to food@independent.com, and The Independent may choose to publish a few. I hope you enjoy your travel through time. EDITOR’S NOTE: Restaurant openings are organized by year, and, when possible, the name is followed by the owner, address, and occasionally other notes. Prior to World War II, it seems many if not most restaurants were simply named after their proprietors. There is also some redundancy in names of restaurants and proprietors from year to year, but we are publishing the list in full as submitted. Olympia Restaurant: L. Miratti, 40 State St.
Women’s Exchange: 927 State St.
Boston Restaurant: C.D. 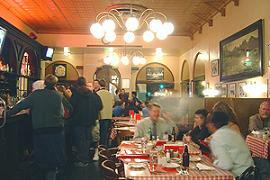 Lyons, 512 State St.
French Café: 630 State St.
New York Kitchen: 536 State St.
Ohio Home Cooking: 623 State St.
Santa Barbara Restaurant: 512 State St.
Sarri & Gentini: Quarantina St.
Spanish Restaurant: 18 E. Ortega, 300 State St. The Claremont: 519 State St.
Woman’s Exchange: 921 State St. The Alhambra: 716 State St. Branch & Bertino: 111 State St.
N.Y. Kitchen: 538 State St.
Jenmutsu Okmura: 510 State St. The Olympia: 598 State St.
J. Angels & Co.: 500 State St.
J.B. Bianchi: 119 State St.
City Restaurant: 536 State St.
Cota & Arellanes: 807 ½ State St.
Konda K: 512 State St.
L.J. Marshall: 823 State St.
Tokyo Restaurant: 426 State St.
Mrs. Alia Babington: 508 State St.
Domingo Baudino: 202 State St.
Victor Clairemont: 519 State St., in 1908 moved to 515 State St. The Coffee Club: 624 State St.
Chas. E. Cota: 807 ½ State St.
Mrs. M.A Hall: 825 ½ State St.
T. Hirota: 426 State St.
Alfred Jacoutot: 1 Montecito St.
Kelley & Bason: Carpinteria & Nopal Sts. A.C. Lekas & Co.: 623 State St.
L & A Miratti: 598 State St., in 1908 moved to 538 State St.
John Sarriyeanes & Co.: 500 State St.
John Senich: 628 State St.
A.W. Weekly: 534 State St., in 1908 moved to 532 State St.
W.V. Bayley: 520 State St.
H.W. Beatty: 621 State St.
Neal Callahan: 227 State St.
Secondo Corti: 906 State St., in 1911 moved to 527 State St.
Gutman & Ostermann: 624 State St.
Saddlerock (Fazio & Harbach): 500 State St.
Koyo Sakamoto: 426 State St.
P.J. Hesser: 206 State St.
E. Johnson: 503 State St.
Silva & Bonilla: 520 State St.
Hong Kong Café: 919 State St.
Eagle Restaurant: 426 State St.
Jos. 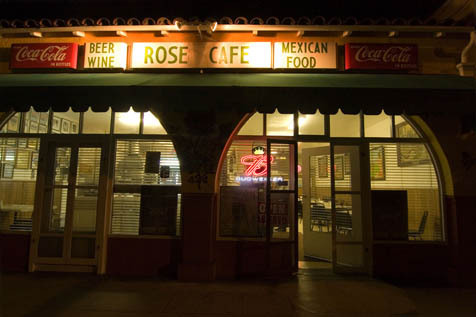 Masseo: 518 ½ State St.
Oak Park Tea House: 2422 Alamar Ave.
Monroe Parker: 206 State St.
Caesar Ruiz: 520 ½ State St.
J.G. Swenson: 511 State St.
Lucien Abadie: 624 State St.
A.C. Austin: 1010 State St.
Casa de Brabo: 229 State St.
John Cota: 807 ½ State St.
Delia Edwards: 206 State St.
J.B. Fazio: 500 State St.
H.J. Johnson: 511 State St.
Dominico Macchoni: 527 State St.
C. Shendow: 426 State St.
Reno Becchio: 200 State St.
J.W.Bradshaw: 518 State St., in 1915 moved to 527 State St.
Jesse Detrow: 433 State St.
Jones Cafeteria: 916 State St.
New China Café: 722 ½ State St.
O.L. Robertson: 520 ½ State St., 1915 moved to 426 State St.
Louis Silver: 230 State St.
Jesse Clark: 210 State St.
Nicholas Dimas: 613 State St.
H.F. Echols: 807 State St.
Albert Zschocke: 503 State St.
American Restaurant & Oyster Grotto: 613 State St.
L.S. Fargo: 232 State St.
Firfires & Apostolides: 807 State St.
W. L. Foster: 210 State St. The Goodfellows Grotto: 623 State St.
Albert Graves: 200 State St.
J.F. Gunther: 430 State St.
Alfred Jackoutol: Coast Highway & Humphrey Rd. R.D. Jones: 413 and 916 State St.
Kurtis & Nick: 623 A State St.
Liberty Café: 722 State St. A.M. Maree: 514 State St.
L.J.Marshall: 1218 ½ State St.
Jacques Massa: 527 State St.
Henry Vizzolini: 536 State St.
M.P. Wright: 306 State St.
J.O. Lopez: 200 State St.
Raffour’s Grill: 526 State St.
Ruiz & Silva: 430 State St.
J.A. Senich: 606 State St.
Chris’s Grill: 613 State St.
J.G. Gonzopolus: 433 State St.
R.D. Jones: 413 State St.
Kamnses & Stavron: 632 State St.
Alex Morales: 430 State St.
Santa Barbara Cafeteria: 916 State St.
Savoy Grill: 807 State St.
State Café: 1019 ½ State St.
J.F. Young: 230 State St.
Cavestor & Shaw: 430 State St.
Sam Chriss & Co: 623A State St.
J.J. Dunn: 200 State St.
H.L. Hawthorne: 431 State St.
Frank Martin: 715 State St.
Neal Lunch Room: 217 State St.
Palm Café: 230 State St.
Geo Regan: 435 State St.
Spiros & Antonelis: 507 ½ State St.
D. Stavron: 632 State St.
A.R. VanWinkle: 606 State St. The Brown Mug: 430 State St.
G & M Cafeteria: 807 State St.
Gold Fish Café: 1025 State St.
Hotel Faulding Cafeteria: 19 E. Haley St.
Orpheum Grill : 613 State St.
Peerless Restaurant: 312 State St.
Sign of the Cypress Inn: 1534 Garden St.
Spendid Café: 623 State St.
Star Grill: 507 ½ State St.
Madhouse Café: 1218 State St.
OK Lunch: 435 State St.
Pacific Café: 507 ½ State St.
Texas Lunch: 622 State St.
Cabrillo Café: 510 State St.
Mint Lunch: 321 State St.
Neal Café: 217 State St.
Pekin Low Café: 534 State St. Peoples Lunch Room: 711 State St.
W.E. Lafond: 512 State St.
Mannings Inc. (The Copper Coffee Pot): 1029 State St.
Billy’s Café and Lunch Room: 427 State St.
Johnston’s Cafeteria: 916 State St.
Minter Café: 321 State St.
Russel Fine Food: 114 State St.
Sam Velliotis: 630 State St.
Alt Heidelberg Café: 623 State St.
George Pappas: 1203 State St.
French Restaurant: 728 State St.
El Cielto: 1114 State St.
J P. Karleskint: 1122 State St.
Nicholas Leon: 632 Santa Barbara St.
NanKing Garden Café: 718 ½ State St.
Pietro’s Italian Restaurant: 230 State St.
Blue Onion Drive In: 1701 State St.
Joe’s Café: 512 State St.
Leon D’Oro Café: 523 State St.
Lucky Spot Café: 437 State St.
Tyrol Café: 905 Coast Village Rd. Somerset: 1016 Coast Village Rd. The Gables: 3304 State St.
Arizona Inn Restaurant: 623 ½ State St.
Petersen’s Drive In: 2984 State St.
Reporter Café: 804 State St. The Farmer Boy: 3427 State St.
Uncle John’s Pancake House: 3514 State St. The Continental: 3554 State St.
Top Notch Café: 912 ½ State St.
A & W Root Beer: 4123 State St.
Bray’s 101: 4285 State St.
Café Gourmet: 1833 State St.
Denny’s Coffee Shop: 3731 State St.
Tee Off: 3627 State St.
Tree House: 3680 State St.
Yankee Clipper: 3435 State St.
Esau’s Coffee shop: 403 State St.
Ashton’s Restaurant: 1031 Santa Barbara St.
Café del Sol: 516 San Ysidro Rd. Fig Tree: 1701 State St.
Little Audrey’s: 711 State St.
Lloyd’s Restaurant: 790 State St.
Maya Mexican Food: 3955 State St. Pig Pen BarBQ: 4135 State St.
Porky’s Brute Burger: 4285 State St. The Drumstick: 3731 State St.
Harry’s El Cielito: 1114 State St.
Stan’s Breakfast House: 910 ½ State St.
Olive Mill Bistro: 1295 Coast Village Rd. Bonanza Sirloin: 3614 State St.
Char West: 3771 State St.
Mister D’s Joie de Vivre: 4130 State St.
Pizza Luau: 3132 State St.
Stock Pot: 3524 State St.
Eggception Omlette House: 1208 State St.
Geneo’s Kitchen: 1213 Coast Village Rd. Ireland’s Restaurant: 1270 Coast Village Rd. Feed Store: 110 Santa Barbara St. The Cooperage: 1227 State St.
Chanticleer Restaurant: 1279 Coast Village Rd. The Chase Bar: 1012 State St.
Déjà vu: 1305 State St.
Frannie Fox’s: 534 State St.
John’s at the Beach: 611 State St.
La Grange: 1327 State St. The Lilypad: 1020 State St.
Strender’s Restaurant: 3902 State St. The Enterprise: 225 State St.
La Chaumiere: 1305 State St. The Elegant Egg: 1018 State St.
Four Winds: 3435 State St.
Santa Barbara Wine Cellar: 734 State St.
Boulevard Café: 1 State St.
Mister Sipper: 1018 State St.
Rose Cafe on Haley Street. Alex’s Mexican Café: 711 State St.
Baudelaire’s Café: 435 State St.
Open Door: 505 State St.